Triggered by the last build I tried once again to follow Denniz basic recipe of how-to-build-a-base. 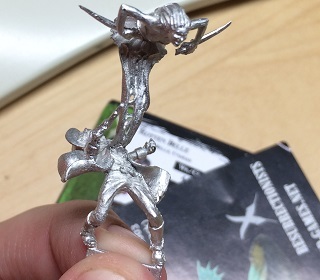 I also looked through my compilation of unpainted models (too many… too many) and found something (Malifaux – Bête Noire) that could fit the base together with an idea. 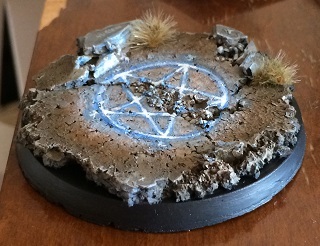 This also gave me an opportunity to try some OSL effects.